Daily Bible Verse 101: St Luke is the beautiful feet on the road bringing the Good News. St Luke is the beautiful feet on the road bringing the Good News. who brings glad tidings of peace, bearing good news, announcing salvation!" Those beautiful feet upon the mountains are the feet of St Luke the Evangelist whose feast we celebrate today. St Luke abandoned his profession as a medical doctor to become an Evangelist of the Good News of Jesus Christ. He wrote two books in the New Testament, the Gospel that bears his name and the Acts of the Apostles, an inspired and reliable history of the early Church. 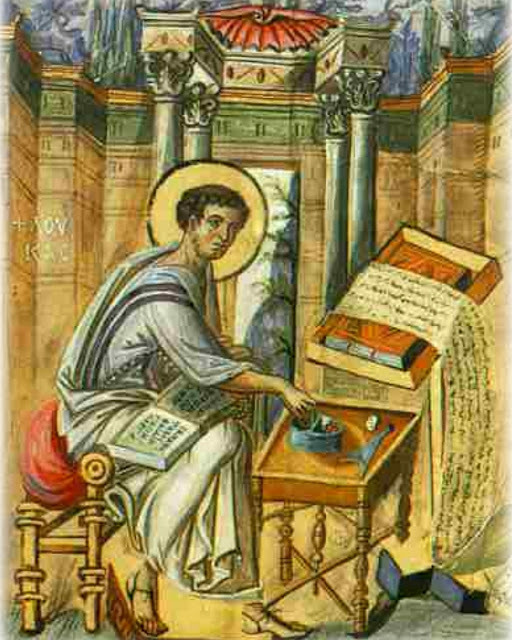 St Luke besides being a faithful and true chronicler of the events in his books has a character that appeals to me very much. He is reliable! "Luke is the only one with me," says Paul after listing the people who abandoned him. (2 Timothy 4: 11). the mystery of your love for the poor." "The Lord sent out disciples to proclaim throughout the towns: The kingdom of God is at hand for you." (Cf Luke 10: 1, 9). Through our words and works we can propagate the glorious splendor of God's Kingdom. Making known to men God's love, justice and might. By His wounds, many shall be healed. Where is the victorious living?